11.6" x 12.1" stitched on 14 count. 9.1" x 9.4" stitched on 18 count. 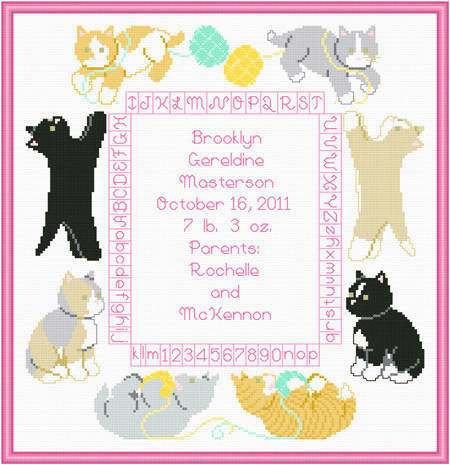 Kitten Baby Sampler cross stitch pattern... This baby announcement sampler is bordered by assorted kittens. Personalization alphabet and numbers are from the sampler. Instructions included.